Martial arts legend Bruce Lee, sadly, didn’t live long enough to turn in even half of the brilliant performances he was capable of, a tragic fact which leaves a lot to the imagination of his fans. Like, what would Bruce Lee have looked like as part of the modern rise of science fiction cinema? Or, as this fan video by Patrick Nan asks: what kind of frickin’ rad lightsaber would Bruce Lee wield? Inspired by a meme (aren’t we all, my friend), Nan put together a YouTube tribute to the martial arts star that re-edits a fight scene from Fist of Fury to feature some laser sword action. Two thoughts here: first, this is awesome. The visuals and sound effects are mostly impeccable, and Nan’s edit really manages to sell the idea that this could be a lightsaber battle. Second: lightsaber nunchuks? Bruce, those are incredibly hazardous. I spent the entire video both admiring the artistry and wondering when he was going to cut his own arm off. 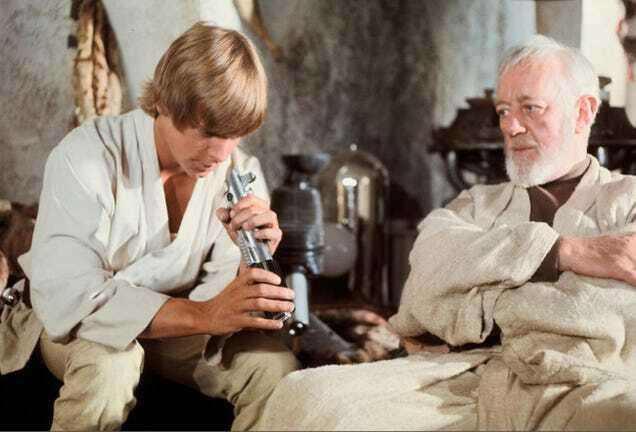 Thank God Luke Skywalker never got a hold of such a weapon. He barely had enough safety know-how to use a normal lightsaber.